This is the first of a two-part series that discusses how to identify and remove redundant indexes from a PeopleSoft system. I recently wrote a series of articles on my Oracle blog about identifying redundant indexes on an Oracle database. 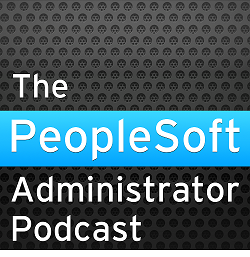 The same approach can be taken with PeopleSoft, but using the metadata in the PeopleTools tables rather than the database catalogue. The following query returns a report of superset and redundant subset indexes in a PeopleSoft system. It can be downloaded as a script from my website (psredundant.sql). The generic Oracle version of this script will identify subset indexes that are unique as redundant because the primary key and unique constraints can be altered to use the superset index. However, this query does not make subset unique indexes as redundant because PeopleSoft does not explicitly create unique constraints, only unique indexes. If I disabled a unique index, I would not be able to maintain the unique constraint via Application Designer. Subquery IC returns a list of columns for each index. Subqueries UNI, AS2 and USI retrieve columns for unique/duplicate key, alternate search and user defined indexes respectively. The absolute value of key position is not important for this exercise, it is merely used to sort the column list in the listagg() function in subquery I. This is part of the output for a HR 9.2 demo database. In all it identified 58 indexes on 41 records. However, some of those records are temporary records with several physical instances, so the number of database objects that will be removed is higher. The articles on my Oracle blog discuss how to identify redundant indexes on an Oracle database, and then how to go about removing them. Of course, in PeopleSoft, you should only remove indexes by making the change within Application Designer, and that is what the next posting discusses.